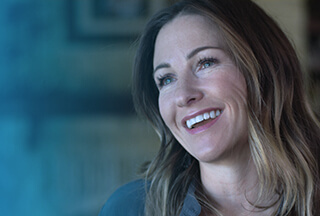 Senior Consultant ServiceNow Administrator at Dell Inc.
Dell is a collective of customer-obsessed, industry-leading visionaries. We believe that technology is essential for driving human progress, and the technology we provide transforms the way we all work and live. But we are more than a technology company — we are a people company. We recognize that over 100,000 employees across six continents have different interests and aspirations. We inspire, challenge and respect, each and every one of them, every day. And we provide them with unparalleled growth and development opportunities. Technical expert in leading pre-sales meeting or presentation. Able to assist in creating proposals that address current and evolving client requirements. Participates in installation, customization, and integration of an Dell solution. Works on complex projects and manages multiple work streams. Ability to supervise staff and plan/assign work on project engagements. Leads project quality assurance activities, including technical QA reviews. Understands and adheres to proper escalation and change control procedures. Validates requirements, limited prototyping and functionality design and creates proposals that address current and evolving client requirements. May provide testing process, code reviews, certification of software, and issue resolution as point of contact for technical questions. Understands that travel may be required for extended periods of time. Understands customer business challenges and provides strategy that addresses long term goals.